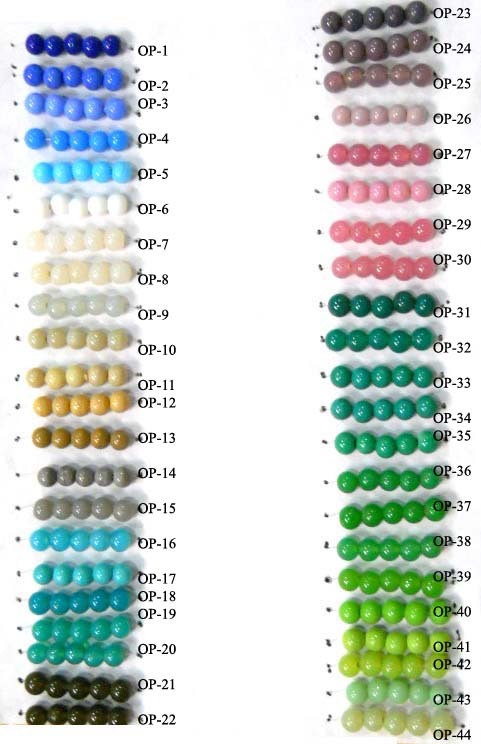 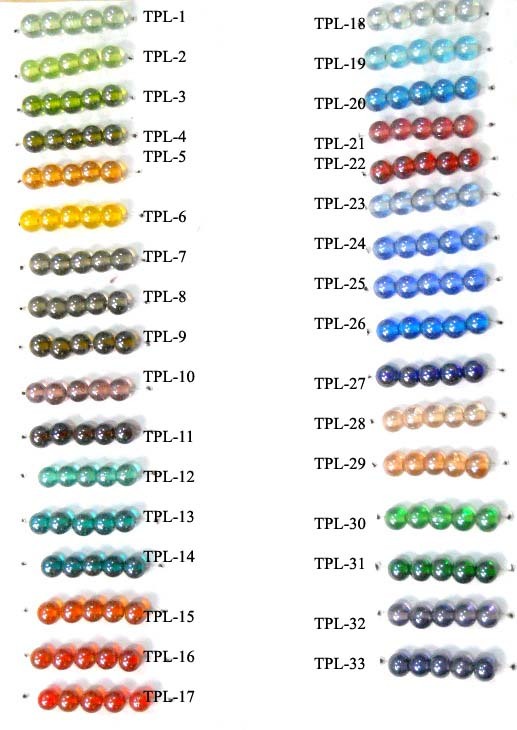 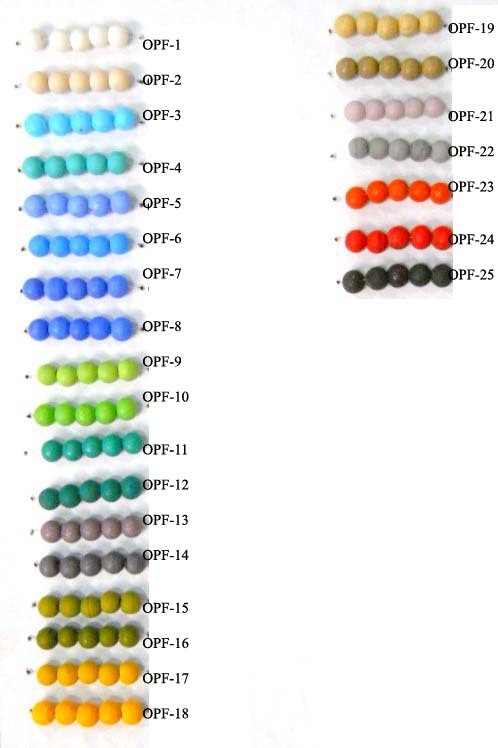 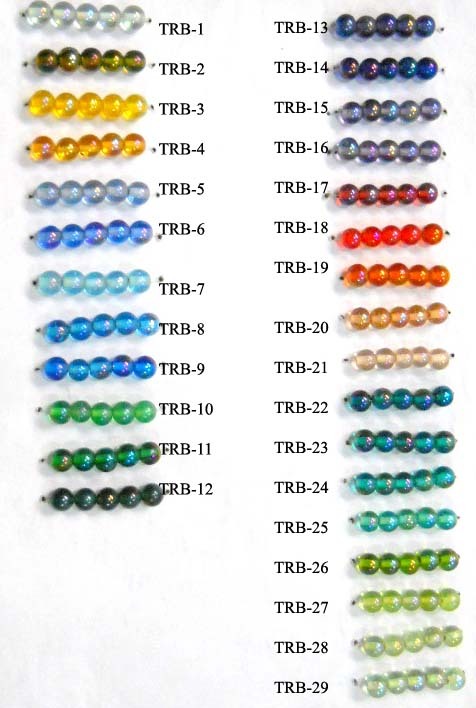 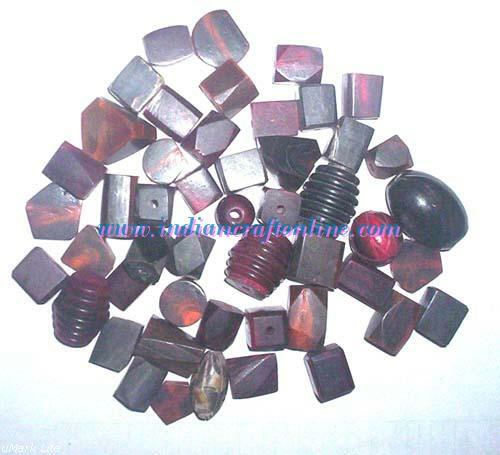 The Following is our Glass Beads Color Chart. 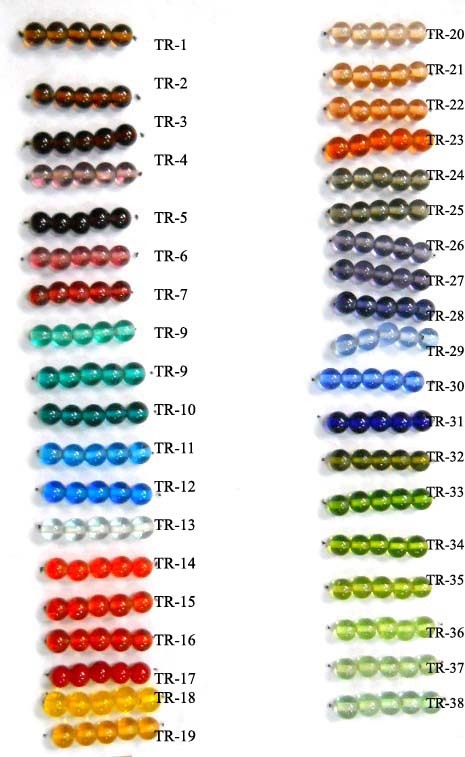 We can make any glass beads in colors you choose from the below chart. 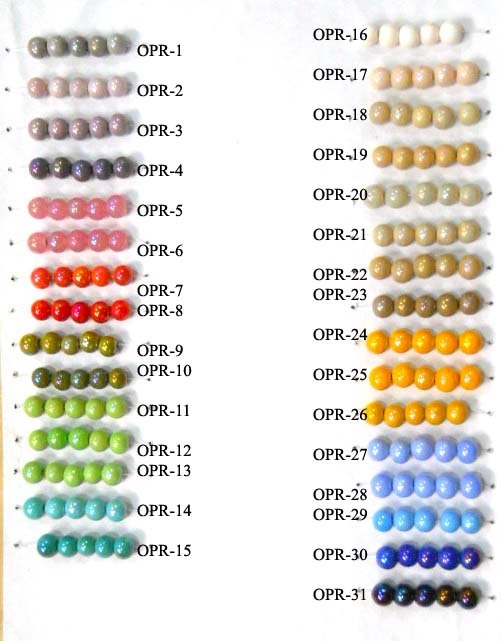 If you need color modification of any item, just let us know the original item code and the color code in which you want us to manufacture the item. 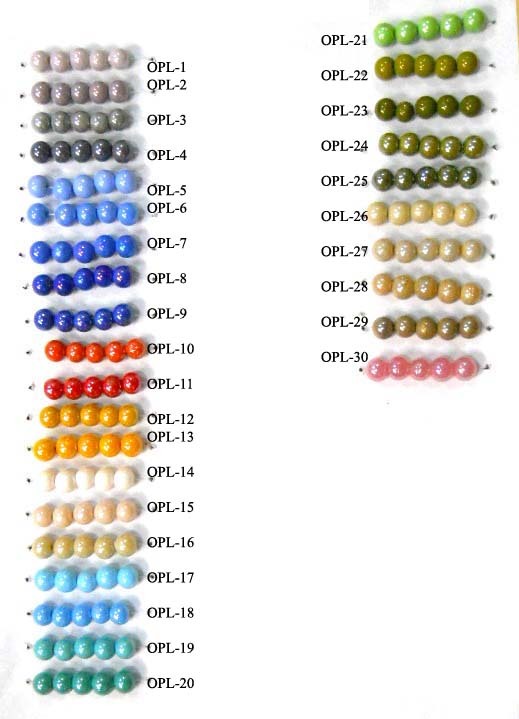 For Example, Say FL-180 is in Peridot Green Color but you want it in Pink Color, Just email us the list and let us know that you want FL-180 in TR-7 Color. 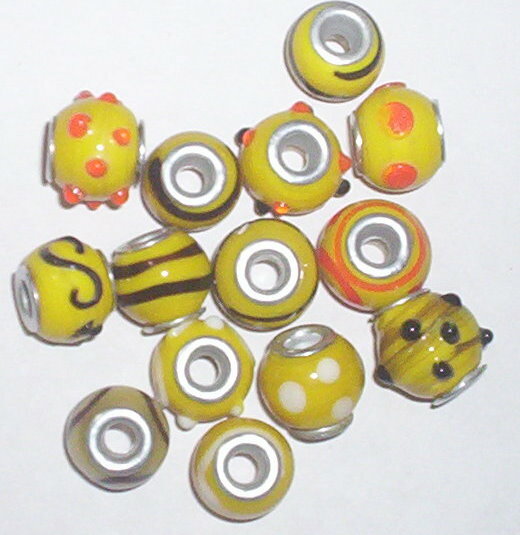 There is no additional cost for this modifiction. 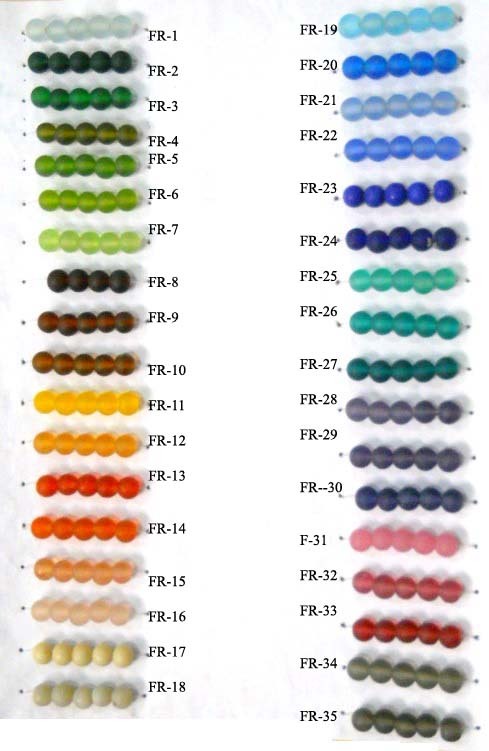 If you need any item in Frosted, Lustre or Rainbow Finish, you will need to pay U.S $ 1 extra (for frosted or matt finish) & U.S $ 2 extra(for rainbow or lustre finish).